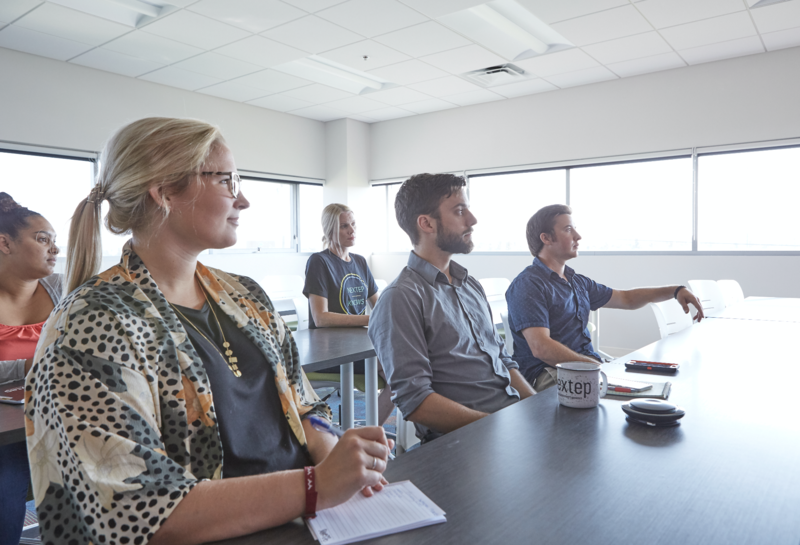 In an industry clouded by a call-center mentality, Nextep uses Soapbox to build better relationships by communicating big-business benefits to their small and medium-sized prospects. 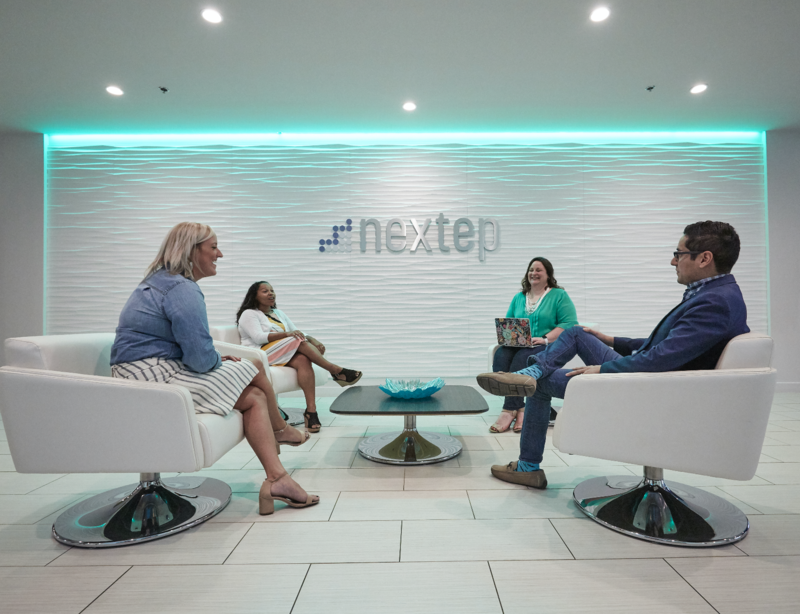 Nextep is a Professional Employer Organization (PEO), which means they provide human resource services, health care and benefits, payroll, risk and compliance, and technology for small and medium-sized businesses. At their core, however, they care most about helping businesses focus on becoming successful. 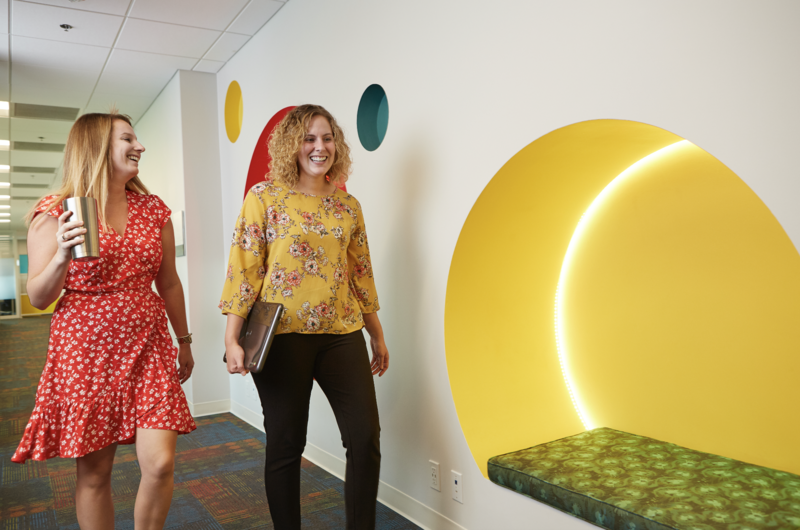 With a mission to elevate the employment experience and enrich employees’ lives, they believe businesses shouldn’t have to worry about employment-related needs. Because Nextep works with serious human resources information, it’s important that their friendly experts and business consultants build trust with their prospects so their sales process feels more like a relationship than a one-time sell. Incorporating video into their outreach has helped add a human touch that many salespeople are missing. Using video often makes all the difference when trying to book time with someone in-person or even getting prospects to fulfill document requests. Even though Nextep is just starting out with Soapbox, every success their sales team sees sparks more enthusiasm to get in front of the camera. Aside from offering advanced software, Nextep’s clients appreciate their incredible service and the people who make up their culture. Nextep’s outside salespeople take a boots-on-the-ground approach to meeting potential new business partners in-person. However, without set appointments, Nextep’s team might not always get in front of ideal decision makers. Knowing their prospects are accustomed to receiving standard sales calls and emails, videos help Nextep differentiate themselves from the bunch. Videos allow their team to show off a bit of personality in initial outreach communications in ways they normally wouldn’t be able to. Even if prospects aren’t interested in doing business right away, putting a face to the name helps humanize Nextep’s team and quash any ideas they’re an exhausting, robotic call center. Additionally, because Nextep reaches out to prospects in their local markets of Oklahoma, Colorado, Texas, and Tennessee, video potentially helps many of their leads and customers recognize their salespeople. Not only is Nextep using video for initial outreach, but they’re also sending Soapbox videos to follow up with their prospects. Without necessarily saying anything different in video than she would over the phone, Hudson found people are more likely to respond within 24 hours after viewing her video. Those responses help her determine which leads are hot and worth continuing to contact. Katherine Grace, another business consultant at Nextep, also creates engaging videos in place of typical follow-up calls. In only 35 seconds, Grace was able to touch on her prospect’s renewal date and direct the viewer to book time on her calendar. Watch her video below! Through video, business consultants have a chance to represent Nextep in a way that’s meaningful to them, while also keeping the conversation alive in their sales process. When looking at follow-ups and requests for documents, small victories are celebrated if it means moving the needle for sales. Soapbox is still being integrated across Nextep’s sales team, but people’s willingness to get in front of the camera continues to grow as they see their teammate’s success. Laura Kresse, a sales manager at Nextep, also shared her success sending a video request for documents, which are important to help her team deliver a quote. To her pleasant surprise, the prospect sent their documents back to her within an hour. Check out Kresse’s enticing office pizza proposal for picking up a prospect’s documents. For Nextep, their sweet spot with Soapbox is sending an email after reaching out a few times, but every business could be different across the board. They’ll reach out to prospects approximately three or four times prior to requesting documents with a Soapbox, and success stories like Kresse’s influence the entire team to find a place for video in their own day-to-day. As far as onboarding goes, sending people into a space to practice until they create something they believe is worth sharing helps the team warm up to video. Beginners also learn techniques by being paired up with Nextep’s own video champions. It doesn’t take long before they realize recording a quick video is a lot more simple than they might think. Nextep created scripts for guidance, but most people have no problem making it their own. Even if they mess up, showing they’re not perfect works to remind prospects they’re real people who want to have a consultative and explorative meeting. For Nextep, prospects are never seen as a one-time sell, but an opportunity to build a new relationship. Moving forward, increasingly integrating video into their outreach will help Nextep differentiate themselves from the bunch and drive sales. In Nextep’s opinion, businesses shouldn’t let employment-related needs get in the way of becoming successful — and they use video to help tell that story. As salespeople, communicating their mission can be tricky, but video can make all the difference for this people-focused PEO. Find Nextep online and on Twitter.